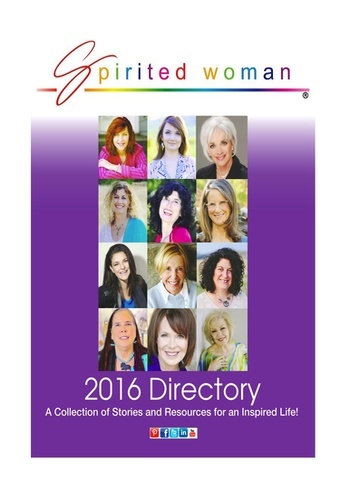 Spirited Woman 2016 Directory: A Collection of Stories & Resources for an Inspired Life! 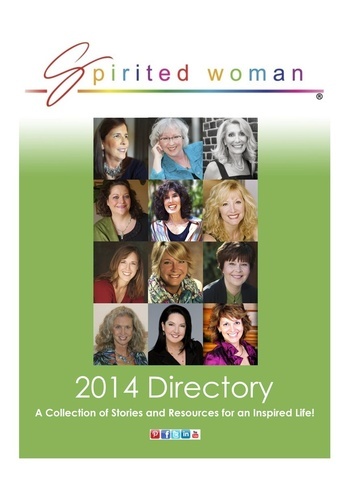 This annual directory features Every Woman Visionaries changing the world one Spirited Woman step at a time. It is filled with inspirational stories and an array of uplifting resources: everything from self-improvement, to global entrepreneurs, to inspirational videos that benefit women. Published by Nancy Mills, founder of TheSpiritedWoman.com - a leading women's empowerment community. The 2016 directory includes 21 Every Woman Visionaries. What is The Spirited Woman? TheSpiritedWoman.com is a leading (and growing!) global women's empowerment community founded in 2001 by Nancy Mills. Recognized as an influential women's visionary, Nancy is known internationally as the creator of the Spirited Woman Approach to Life. Mission: women inspiring women. What was the inspiration for the directory? This is our fifth directory; our inaugural issue was in 2012. Once again, we wanted to reach and inspire millions of women worldwide. More than ever before, we feel the time is now for women and that the technology and social media element are in place - to make a huge difference and impact. To bring together women from around the world in a massive collaborative effort. The magazine-style, page-turning directory celebrates the Every Woman Visionary who is inspiring and changing the world, one Spirited Woman step at a time. What makes this directory special? The women in the directory have been invited to participate. There is no publication ANYWHERE (online or off) where women from around the world have come together like this. Empowered women, women of vision - sharing their inspired stories and listing their social media links. Everything from self-improvement resources, to global entrepreneurs, to inspirational videos that benefit women. 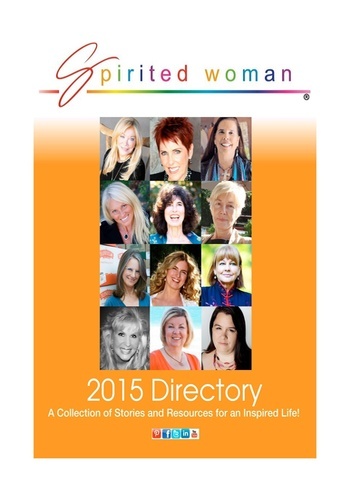 The directory is filled with inspiring stories and numerous listings. It's also filled with useful tips and information designed to enhance the life of every woman visionary. Is there a cost for the directory? 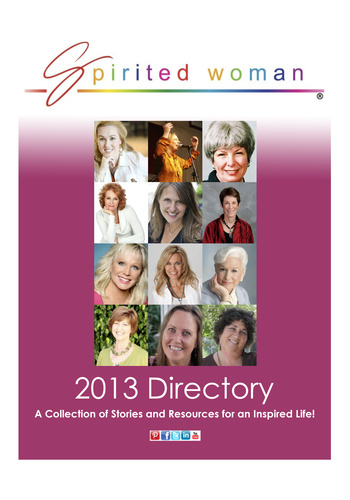 The Directory is a FREE informational tool available as an App and to download, embed and share via TheSpiritedWoman.com web site. The directory is shared on websites, blogs, e-lists, Facebook, Pinterest, Twitter, Linkedin, and other social media. It is designed to be shared globally by everyone. Is there an opportunity to interview the women in the directory? Absolutely. We welcome your media requests to interview our participants. To set up a media interview, please contact Publisher/Creator Nancy Mills, at TheSpiritedWoman.com.